On Friday, May 12, 2017 Drs. 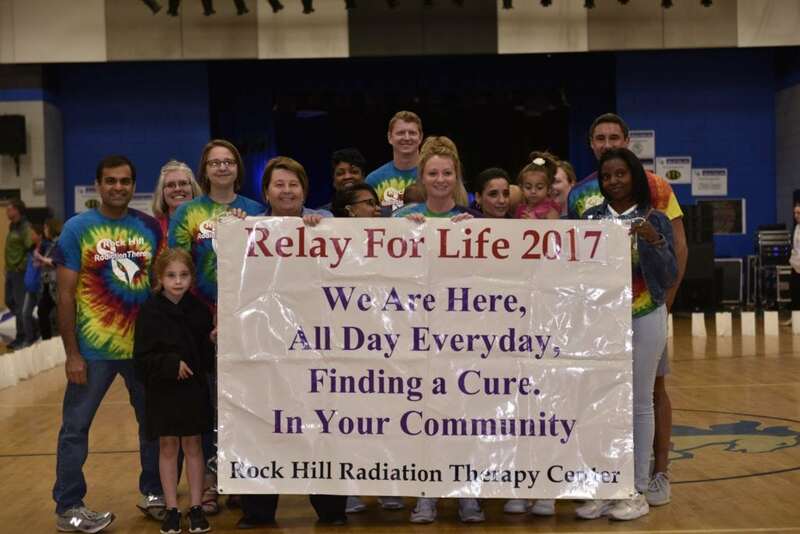 Thakkar and McCammon participated in the York County Relay for Life with staff members of the Rock Hill Radiation Therapy Center. Relay for Life is a community based, team fundraising event, supporting the American Cancer Society. The 2017 Relay was held at the Springfield Middle School gymnasium in Fort Mill, SC and approximately 150-200 people attended the event. The York County East Relay was able to help 300 people in the York/Rock Hill area through the 2016 Relay for Life funds raised. These individuals received patient services such as: free wigs, lodging and assistance from patient service navigators. Funds also went to help with research funding, with the American Cancer Society’s goal, as a whole throughout the country, to double the research budget to $1 billion by 2021.